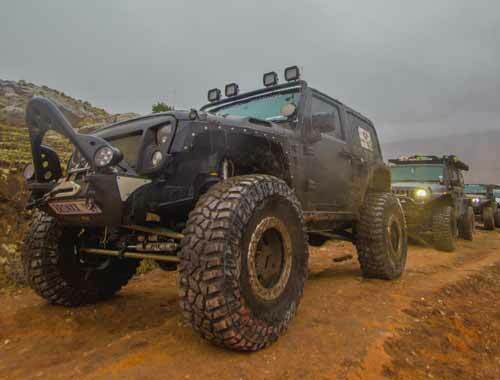 4x4 Adventure Video has been a content producer for the SuperSport family of channels since 2008. We secured broadcast sponsorship for the Maxxis National 4x4 Challenge until 2015. We know that when it comes to broadcast, quality is key. That’s why we deliver content that is exciting and energetic, using cutting-edge equipment that allows for HD broadcast and beyond. Annually, 4x4 Adventure Video also creates a host of other productions, such as the Isuzu 4x4 challenge and the Merrell Eden Duo. The list keeps on growing. Our clients list includes Maxxis, Isuzu and Power Plate, amongst others. 4x4 Adventure Video is an independent platform for clients seeking production for broadcast with a company that offers a range of services from inception to delivery. More recently, social media marketing is becoming a force that smart companies can't avoid when it comes to reaching potential buyers. Whether it's advertising on Facebook, or posting advice on Twitter with links to a website - marketing is anything that informs, interests and gets people to make purchase decisions. 4x4 Adventure Video offers the full spectrum of innovative solutions from 2D & 3D animations through to pre- and post-production of broadcast and social media content. It’s the way we do things.